New Unique, Stylish WordPress Themes with modern design, unlimited options, very easy to create a unique website with the help of modern, tons of features (HTML5 & CSS3) and beautiful elements. All WordPress themes are built to be responsive, so that it will be compatible on any device such as smart phone, tablet or desktop. In this list we showcasing the best selection of Responsive WordPress themes made in October, 2017 for your beautiful site. Elitemag is a harmony of the sophisticated design and minimal design. 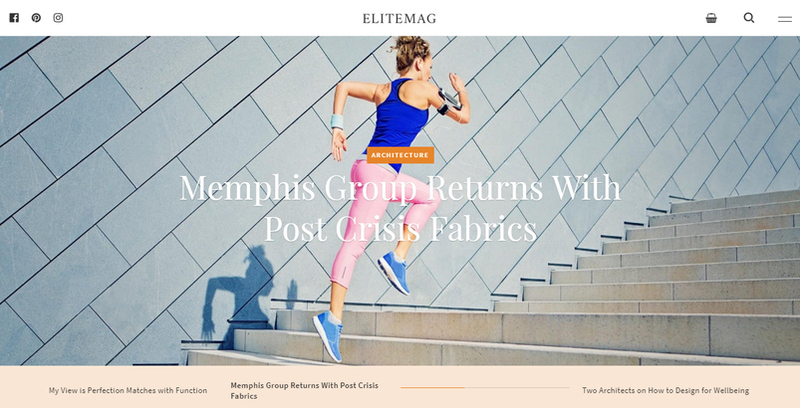 Content will look stylish also look energetic with Elitemag theme. Wapuula is fully responsive Corporate WordPress Theme will be of great help to you when creating a website for your company. Easily adjustable, fast and reliable, this theme will help you make a corporate website that will never let you down. Made by the team of experienced web development professionals, this theme has everything that any respectable company needs for its website. Its key features are the fully flexible appearance, easy customization, social network support and fast response rate. 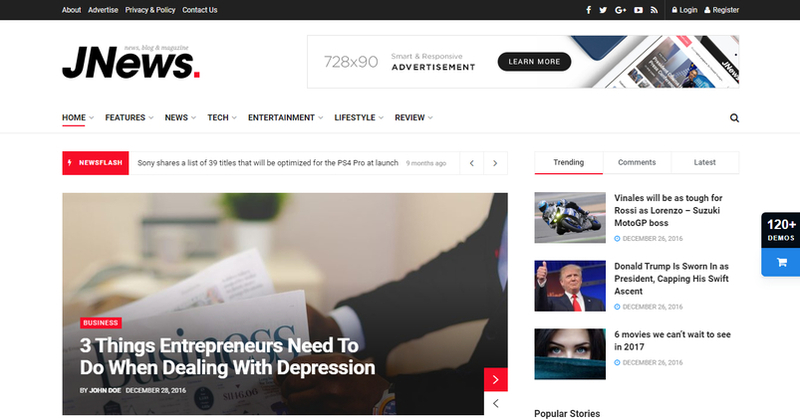 The theme can boast with an intuitive interface, perfectly suits for blogging and provides multiple page layouts. With the help of Visual Composer page builder you will be able to create your own page layouts in addition to already existing ones. Wapuula is equipped with a variety of outstanding plugins, such as Cherry Team Members, Max Mega Menu, Easy Twitter Feed and many others. Use all these plugins to empower your website with versatile eye-catching elements. 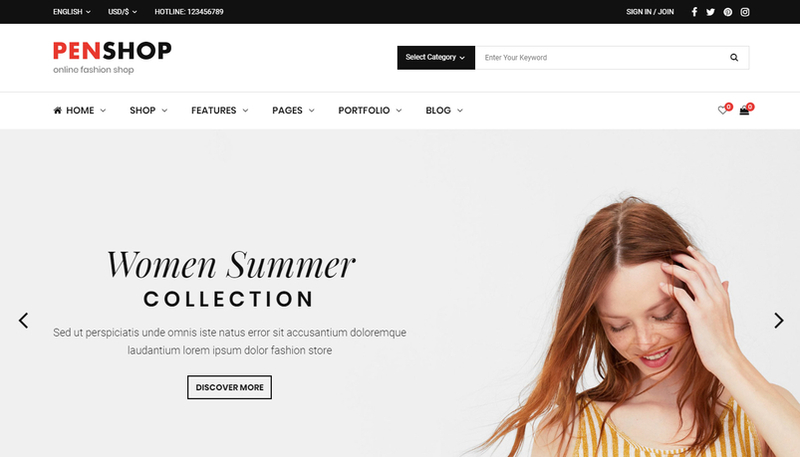 The theme also contains WooCommerce package allowing to create a fully-fledged e-store. Apoa is a responsive and multipurpose theme suitable for all kinds of agencies and digital marketing specialists, design studios and consulting businesses. 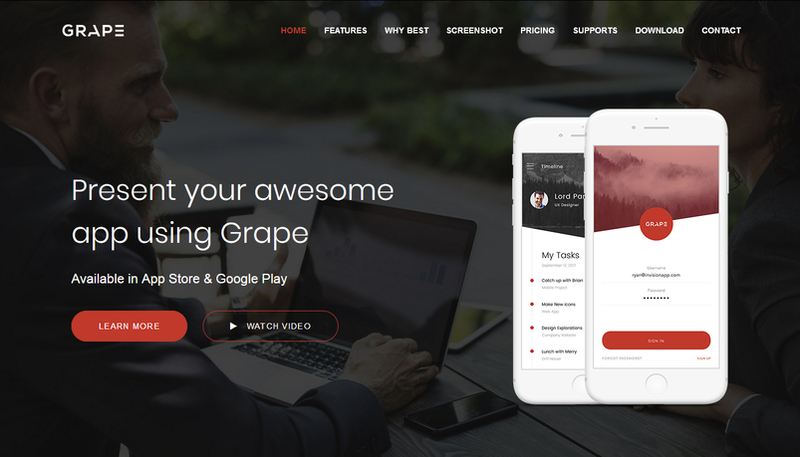 Using Apoa theme, you can easily create amazing websites for marketing agencies, human resources, recruitment and distribution and wholesale agencies, advertising companies and hosts of creative enterprises. Halcyon is a complete product with 30 Different homepages layouts , with a large variation of header and footer styles and a large number of elements and sections. 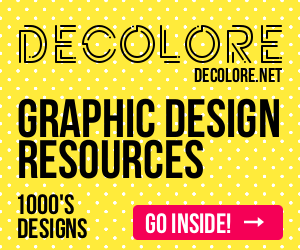 Some pages are suitable for a business, some for creatives and some for personal use. By selecting the elements you need, you can easily create a website…or more. 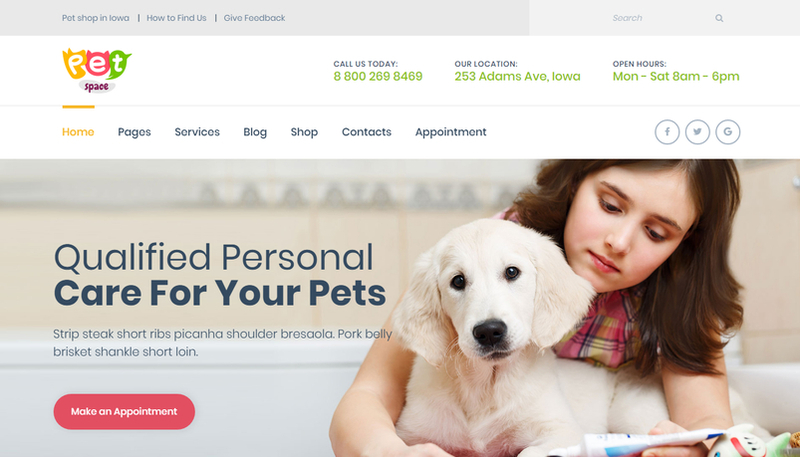 PetSalon is our bright new WordPress theme that is going to make a great website for animal and pet care, pet grooming services, pet clinic, vet center, pet shop, salon or even pet hotel! Rayko is based on twitter bootstrap framework. This All-In-One package includes the awesome Revolution Slider Plugin ($19 Value), Visual Composer Plugin (34$ Value), Ultimate Addons Plugin ($18 Value) unlimited customizability, built-in mega menu, full WooCommerce design integration, premium Cube Portfolio plugin ($16 value), typographic options with over 600+ Google fonts , robust admin panel with hundreds of options to make it your own, tons of useful visual page builder elements and ready layouts available with just 1 click! 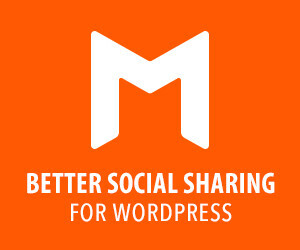 The Moderno theme gives a greater number of features than any other themes out there. The coding is done in a way that it looks extremely efficient and un-bloated. Also, any feature you would prefer not to use you can directly disable it from the built-in theme panel or a custom child theme function. But having soo many features doesn’t make it difficult to use. In fact, it is very easy to use, when you begin with using the Moderno theme you will definitely love it and not going to use any other theme. 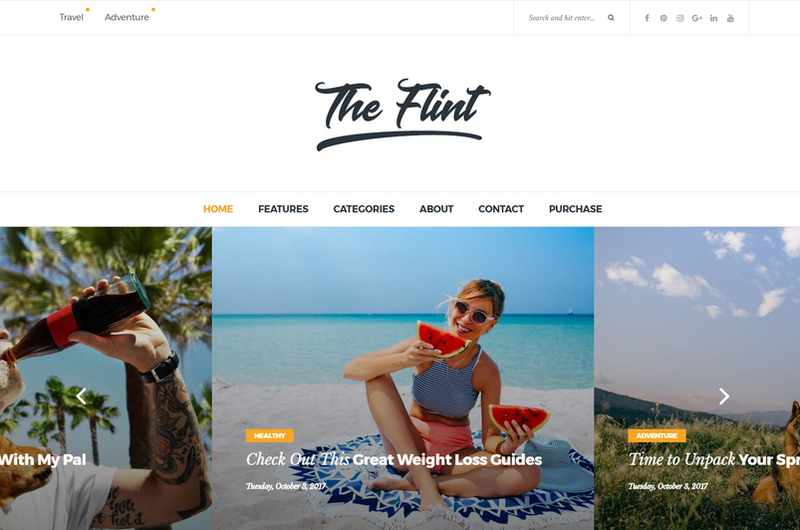 The Flint is an Optimized for speed WordPress Blog theme that suits for personal blog and magazine sites. Built on Bootstrap and support semantic code, HTML schemas. It includes premium Visual Composer Page Builder. It is well documented and has more than +250 Homepage variations and 6 different article layouts which you can choose the one that suits your needs easily. 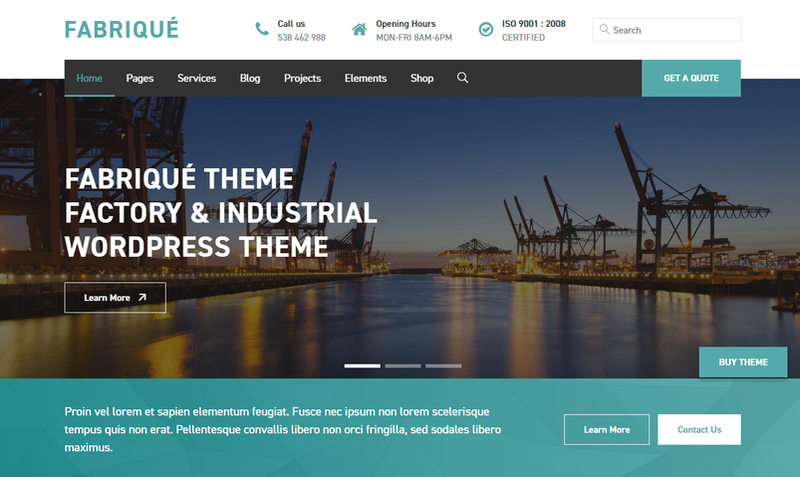 Fabriqué is a state-of-the-art, multi-purpose WordPress theme meticulously designed to cater to factory- and manufacturing industry-related websites. It is fully responsive, retina ready, inexhaustibly customizable, and easy to navigate so as to allow the complex content to be easily digestible and help shape your corporate brand and communication on the online medium. Klin – modern & powerful multipurpose portfolio WordPress theme for all sort of projects. Stand out. Make a statement without saying a word. A visually appealing and unique theme. With this release we aim at all sort of creative businesses that need to present their works in an interesting way. 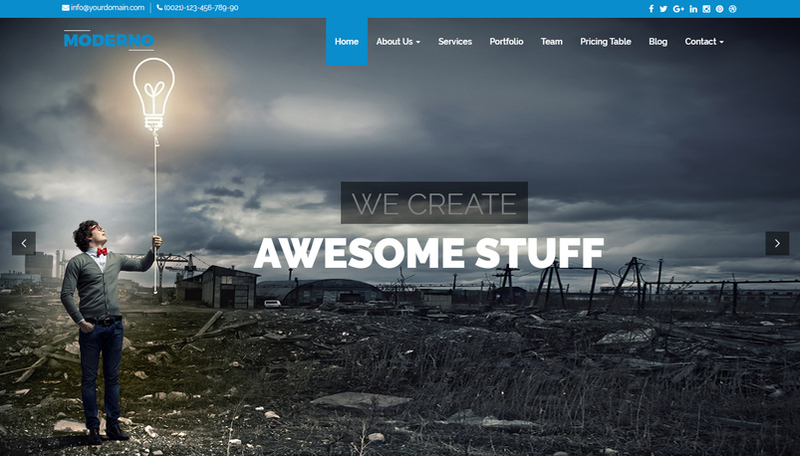 Klin is a a multipurpose portfolio theme. Unleash you style. Themes comes with beautiful typography, subtle transitions, interesting use of navigation. Klin is a complete package to mark your online presence. Start creating now. 30 one-click demos . JNews is a theme designed to provide an “all-in-one” solution for every publishing need . With JNews, you can explore endless possibilities in crafting the best fully-functional website. Also provided automatic import feature to replicate one of the demo you like just by one click. 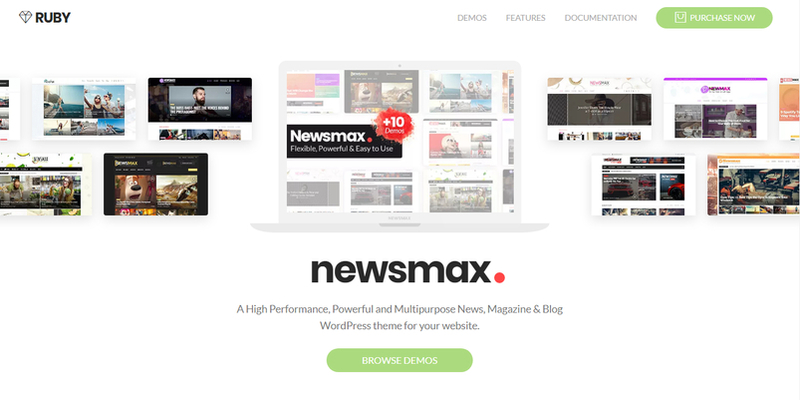 Newsmax is a Multipurpose WordPress theme, most professional for a news, newspaper, magazine and blog websites. Giving you a huge range of powerful tools, amazing new features, 1 click installer, lifetime free updates & include 6 months support. 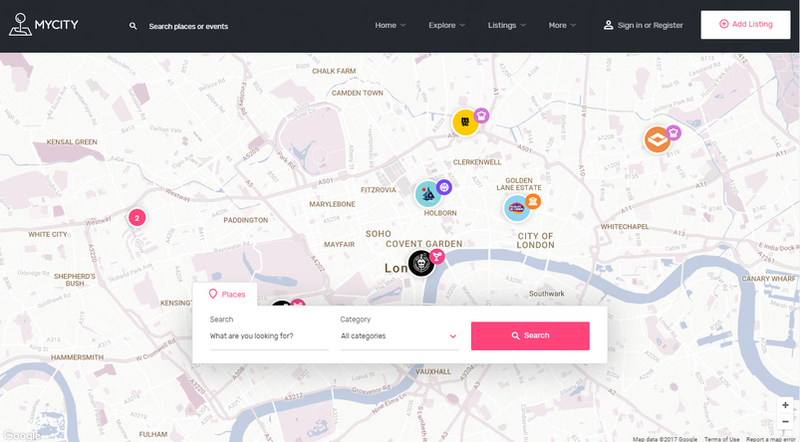 MyListing is a WordPress theme that gives you complete freedom to create any type of directory or listing website Design your pages on the front-end and witness your work instantly come to life. MyListing pages are created using the powerful front-end page builder, Elementor. All 50+ elements are drag and drop, and easy to use and customize . Absolutely no coding required.